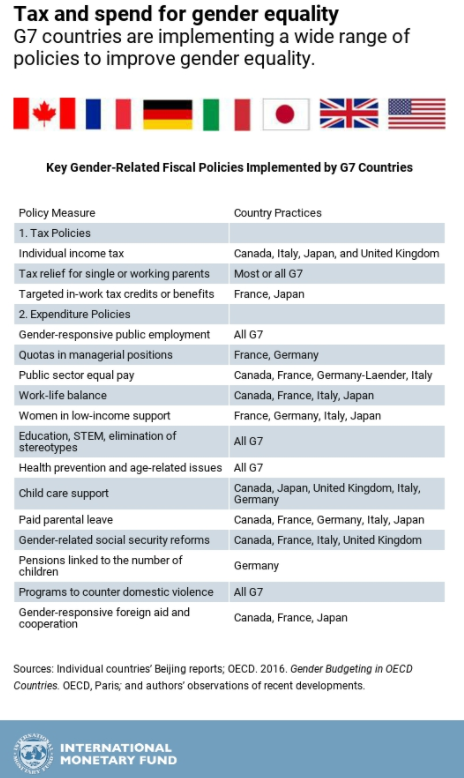 “(…) despite progress made by most G7 countries in improving gender equality (see chart below), there is still a large unfinished agenda. For example, in advanced industrial countries, women’s labor market participation rate is about 17 percentage points lower than men’s. 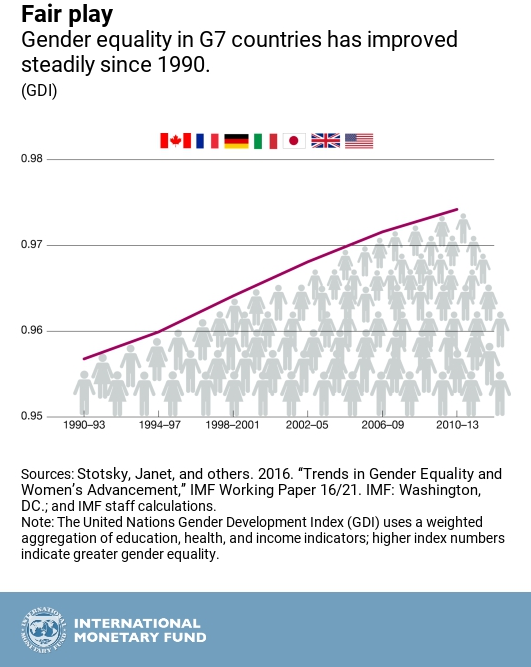 The wage gap between women and men amounts to roughly 14 percent. The share of male managers is almost double that of women, and almost 70 percent of unpaid work is performed by women.